Studio 6 hotels are popular for their top-notch accommodation all around the country. Whichever location you choose to go to, you can rest assured that it’ll be in a convenient proximity to traveller destinations, establishments like restaurants, theme parks and shopping centers. The Studio 6 in Kissimmee is no exception. Every room offers the most comfortable rooms, complete kitchens and other amenities that will make your stay even more memorable and perfect. Whether you’re travelling alone or with company, you would need no other accommodation. The overall ambience that you can get at Studio 6 is that which is closest to home, and with its great customer service, you can’t help feel like being a part of a large family. If you’re travelling for work or are on a business trip, you’ll enjoy their expanded work area in each room. Amenities include fully furnished kitchens – with stovetops, microwaves, refrigerators, coffee makers, cooking utensils, dishes, dining tables and other necessary appliances. Also, guests can enjoy a free Wi-Fi access, a multi-channel television service (including expanded cable channels like CNN, Discovery Channel, ESPN, TBS, Weather Channel, etc. ), and voice mail and data ports. All local phone calls are free as well. 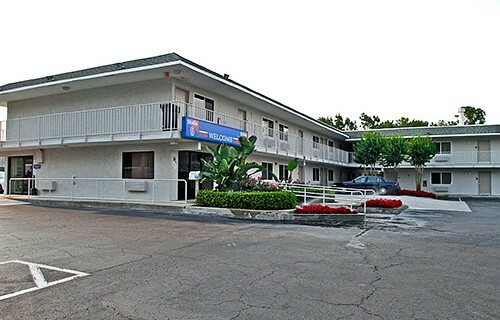 Really nice little motel. Room had facilities to store and cook food. Pool was clean and always quite (as in i didn’t see anyone else in it) which is nice as i like to swim not fight for standing position as you do in some of the bigger hotels etc.. All in all i would recommend the Studio 6 in Kissimmee and and will re visit.